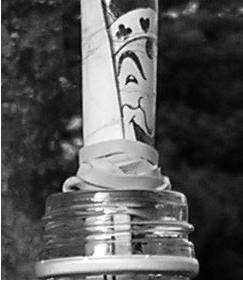 Quirky Calligraphy and something sensible…. More quirky calligraphy envelopes!! 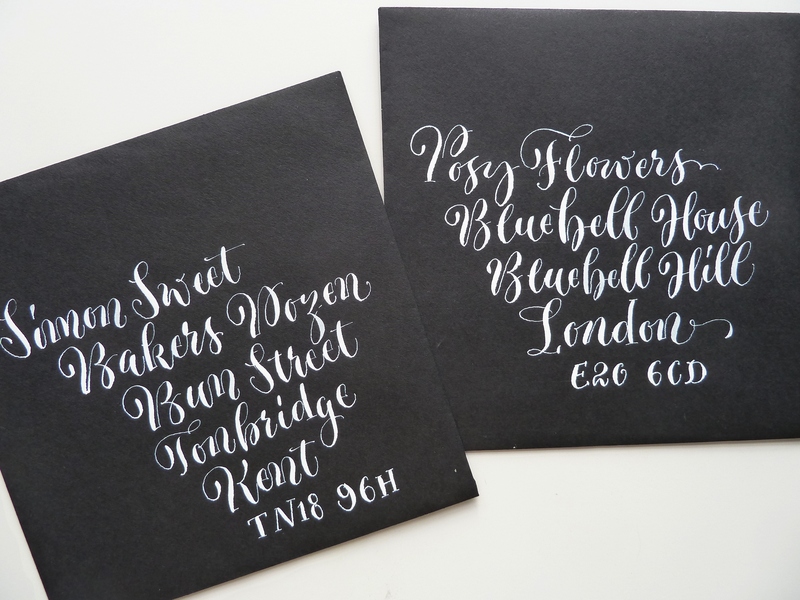 Well, I got a bit bored – what with all the rain and everything, what is girl to do other than huddle in her dining room and practice her calligraphy betwixt taking mouthfuls of cake???? 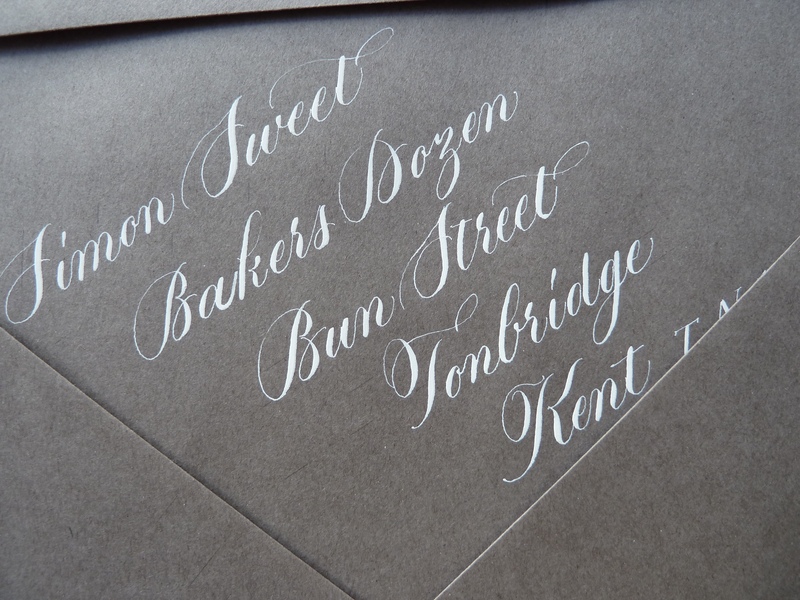 I like writing this type of calligraphy as it’s quick, effective and creates an instant impact on coloured envelopes…. 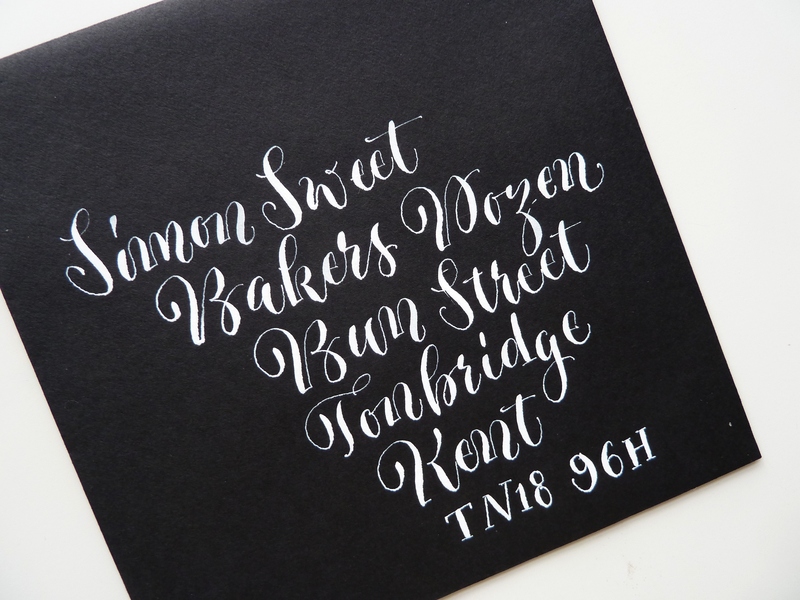 BUT… although this blog is called Wonky Words, I also write sensible words too… in normal copperplate. Every week I make time to practice my copperplate properly… correct spacing, correct letter angles [yes I rule up my paper properly too] and I refer to my copperplate books – I originally learnt from Mastering Copperplate Calligraphy by Eleanor Winters, this I think, gave me a good grounding for move lively pointed pen work. I am a little bit besotted by my capital ‘K’ on this envelope and have tried to replicate it since… just can’t get it exactly the same… damn it! 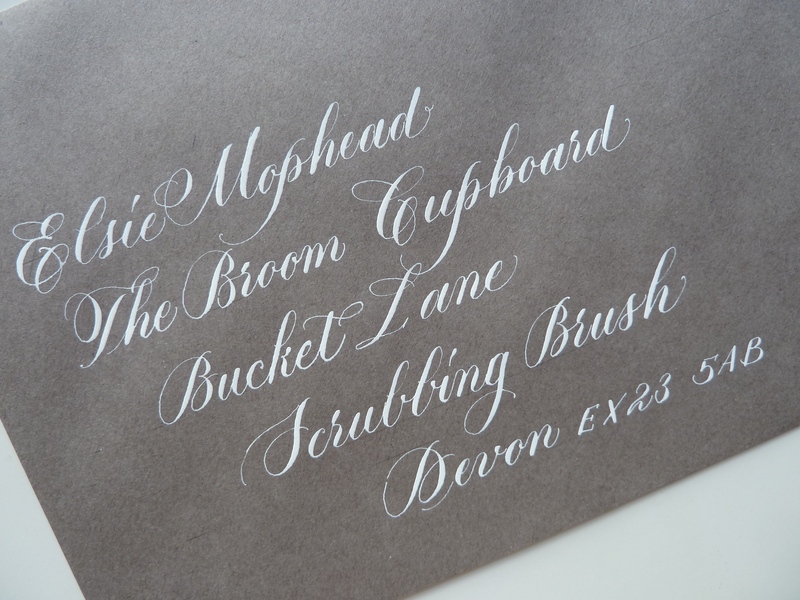 This entry was posted in Calligraphy and tagged calligraphy, copperplate calligraphy, copperplate envelopes uk, quirky calligraphy envelopes uk, quirky calligraphy uk on February 21, 2014 by Scarlet. How long does it take to produce one of these? I am glad you are here, Mr Pain, I have just this moment been trying to get to your blog, but it won’t open for me. I will try again in a bit. 3 to 5 minutes is a fraction of the time I thought it would take! They look like they’ve been produced by monks who are locked in a tower. Sorry my blog won’t open. Can’t imagine what the problem is. I had it migrated from a .org sit to a .com site but that was about two weeks ago and it should be functioning properly. Internet. Feh. Your handwriting is beautiful. Mine looks like a spider has crawled through ink and across the page. Thank you, Kevin, it’s just practice really. This is nothing like my normal handwriting, which looks like a ladybird has gone fluttering across the page after paddling in paint! I broke into your blog just now, Mr Pain… I stole the picnic! I feel like I have been locked in a tower for the past few months, thanks to the weather. It seems to be improving now, but I’m not holding my breath. Mr Lax…. most definitely! Possibly chocolate. I haven’t had much cake since Christmas…. I deserve some. Do you have a contact number for Elsie Mophead? Mitzi – Elsie was recently wed…. she is now Elsie Scrubber – I know! Well, like attracts like I suppose! I keep thinking that I should take these old pictures down…. a little bit embarrassed by them now, but at least I can see that I have made a little progress with my lettering since 2014!